Classic teen film! Can't wait to see this on the big screen! good love story, about how true love mains the world to two people. 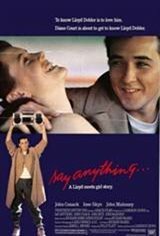 Wonderful film John Cusack was great. If I knew him id give him a really big trophy!